What to Wear to Your Family Beach Portrait Photo Session; Blues, Whites & Khaki Tans. My clients were vacationing at Tradewinds Island Grand Resort in St Pete Beach and booked a family beach portrait session. I selected Treasure Island Beach for their sunset session to allow their active boys some room to explore and play at the beach. This session reminded me that little boys do not stand or sit still, so it is my job to keep them busy and moving! The day was very overcast with no remarkable sunset. However, I really like overcast directional natural light portraits and at sunset the moody blue cloudy skies complimented this family’s attire. 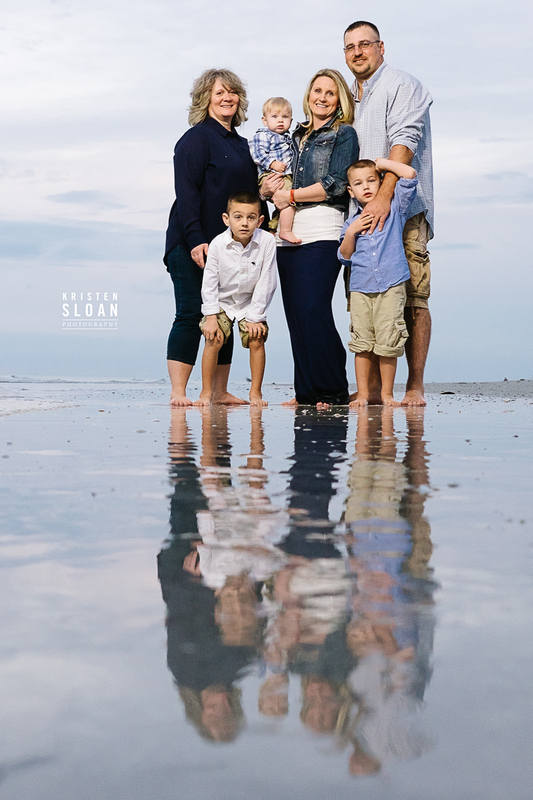 CONTACT KRISTEN SLOAN PHOTOGRPAHY TO CAPTURE YOUR TRADEWINDS ISLAND GRAND RESORT ST PETE BEACH FLORIDA FAMILY BEACH PORTRAIT SESSION!